It's finally feeling like fall here in New Jersey. Not quite sure how I feel about that, but for now, I'll embrace the slightly cooler temps and the excuse to make soup and Slow Cooker Meals for dinner! Monday - Taco stuffed peppers. 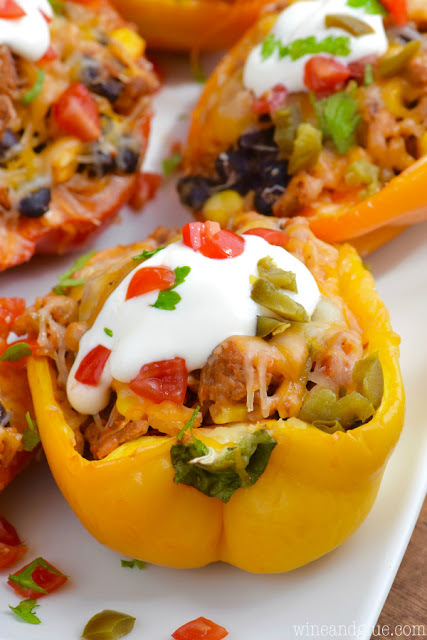 I love stuffed peppers, and these taco stuffed ones are a tasty variation of traditional stuffed peppers. Swap out black beans for pinto if you prefer. I like to use Trader Joe's frozen roasted corn, and I always top with sliced fresh jalapenos. 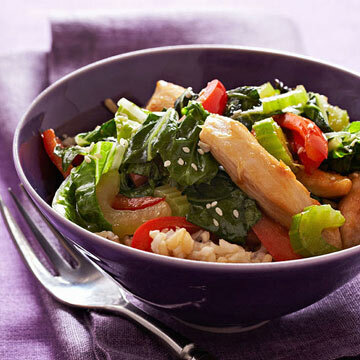 Tuesday - Sesame chicken stir fry. Stir fry is one of my favorite dinners to make because everyone in our family loves it. Plus, it's easily customizable by using the veggies that your family loves the most. This recipe includes bok choy, peppers, and celery. I always add broccoli as well because my kids love it. Wednesday - Copycat Panera broccoli cheese soup and a side salad. This is the best copycat recipe ever! 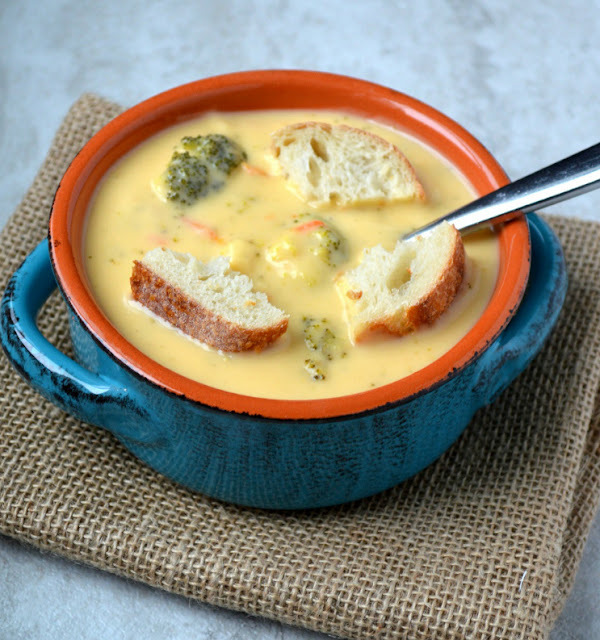 If you love Panera's broccoli cheese soup, you MUST try this recipe. Serve with crusty bread for dipping. 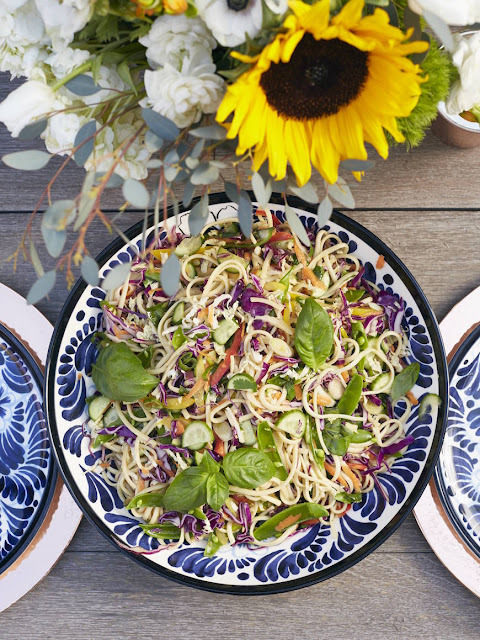 Thursday - Sesame noodle salad. I love noodle salads, but many have too much dressing or ingredients that I could do without. When you make it yourself, you can make it exactly as you wish. This recipe is perfect as it, but if you want to add protein, grab a rotisserie chicken and shred it. 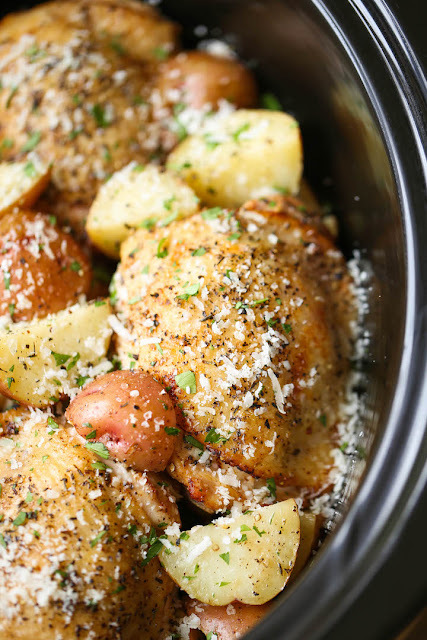 Saturday - Slow cooker garlic Parmesan chicken and potatoes. 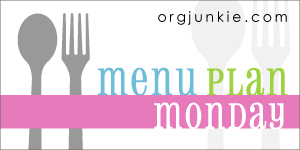 I love slow cooker meals any day of the week but especially on the weekends. While some people love to spend hours in the kitchen on the weekends, I'd rather be enjoying myself other ways (exercising, binge-watching Netflix, shopping). So slow cooker meals are my best friends on Saturdays and Sundays. Sunday - Pasta and white beans with garlic-rosemary oil. 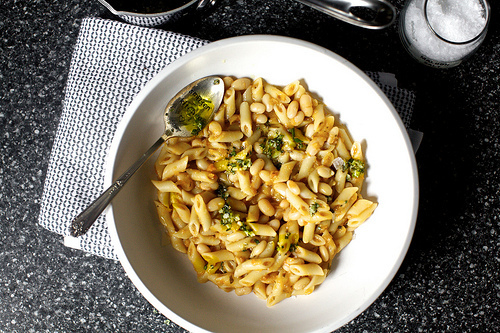 Sometimes a light pasta dish is exactly what you need. This one is light but satisfying. You'll never miss the red sauce.